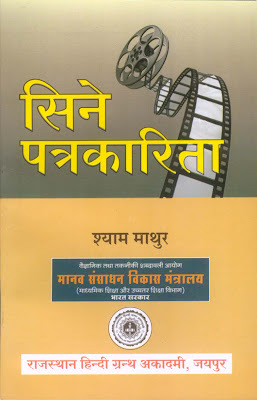 Bollywood PRO: "Shyam Mathur Awarded Bhartendu Award"
New Delhi - Jaipur based known senior journalist Shyam Mathur’s book ‘Film Pparkarita Ke Vividh Aayam’ received first prize under Bhartendu Harishchand Book award. The Ministry of I&B has announced the award in Delhi. Spotlighting the hearting life of film journalists and also brings the 90years of film industry into spotlight. Recently the book is published by Rajasthan Hindi literature academy. To promote fundamental writings on subjects and issues like film, advertising, radio, publications, this award function was started in 1983. Every year 5 consolation prizes are also given except the first 3 prizes.Shaym Mathur is regularly writing articles on film and television. Known in National and international film festivals, Shyam Mathur’s first book “Amitabh Tujhe Salam ‘was also quit popular.